A Prosthetic Limb That Feels Real? One of the major goals of neuroprosthetics is to create an artificial limb that feel like a real extension of your body. Technology advances in this field have been slow and current prosthetic limbs are not able to provide the multisensory feedback that is required for your brain to experience the limb as part of your own body. A collaboration of scientists led by EPFL (Ecole Polytechnique Fédérale de Lausanne) have proven that for at least a short amount of time, they can trick the brain of their patients into thinking their artificial limb is real using two major senses of the body. By using a combination of touch and sight, the scientists were able to create encouraging results. In hand amputees, the lab workers created artificial sensations at the tip of the index finger of the phantom limb by stimulating the patient’s nerves at the stump. 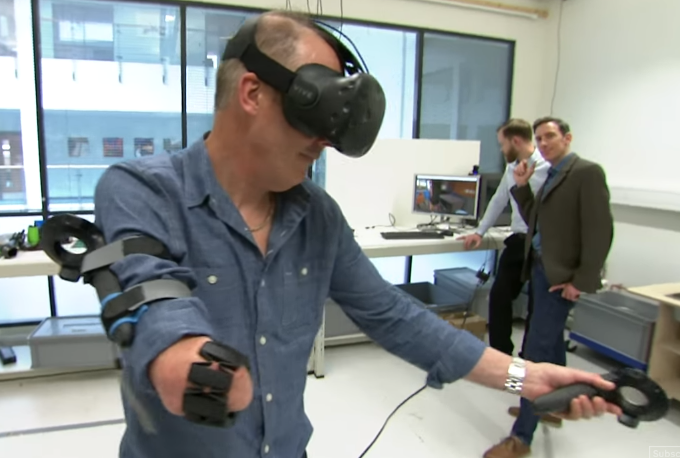 They combined this with the use of virtual reality goggles that showed the artificial limb to the patient as their own hand. The illusion seems to have created the desired result for a short time. In the study, both of the patients included reported feeling as though the prosthetic limb was their own. They were also able to feel their prosthetic limb for up to 10 minutes after the simulation was complete. More studies will need to be done, but this experiment gives hope for prosthetic patients to maybe feel a little more complete in the future. http://www.greenprosthetics.com/wp-content/uploads/2018/09/a-new-virtual-reality-technology-is-helping-amputees-deal-with-phantom-limb-pain-youtube-1.png 458 680 Darren Angerer http://www.greenprosthetics.com/wp-content/uploads/2017/10/Green-Prosthetics-Logo-1.png Darren Angerer2018-09-13 14:22:452019-02-11 18:32:50A Prosthetic Limb That Feels Real?